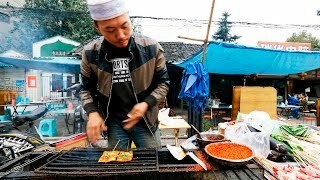 In this Chinese Street Food tour video, I take some travelers to Sichuan around many delicious street food spots in Chengdu and Leshan. 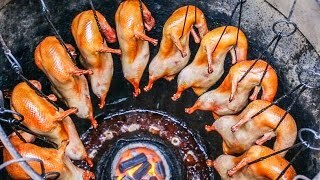 First, we visited this local spicy firewood chicken restaurant near the outskirts of Chengdu, Sichuan, China. 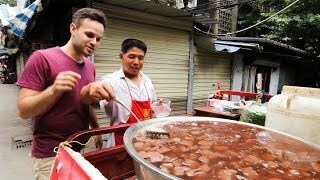 In the morning the next day, we began our full day of food ranging’ for Chinese street food. We started with a noodle experience and the atmosphere was exciting and the noodles were packed with delicious chili oil! 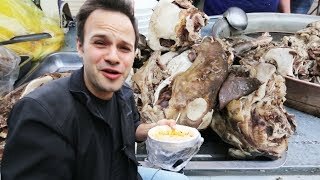 I always have so much fun bringing guests to these Chinese street food areas in China. 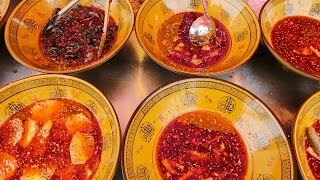 There are so many foods to try and so many Sichuan ingredients, it’s so fun! Afterwards, we took the subway into Chengdu for a full day of eating street food and delicious Sichuan food at Sichuan Chinese restaurants. We immediately made our way to my favorite Chinese street market “farmers market” area in the west of Chengdu. This is the busiest street food market I have found in Chengdu. It’s packed with stalls selling anything and everything. What’s nice about it is that you can actually try some street food there, it’s not just all produce. We then toured around eating more and more Chinese street food in Chengdu and visited a “fly restaurant” for dinner. I recommend coming to one to try the food! 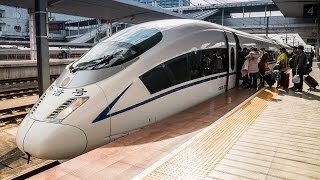 At night we took the train to Leshan in preparation for another full day of eating and to visit the Leshan giant buddha the next day. Chinese cuisine is so varied and the flavors are so diverse. 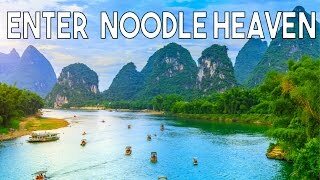 I consider myself really lucky to be able to live in Chengdu, Sichuan, China, and travel in china and live in china for the next few years while I study to become a Sichuan chef. 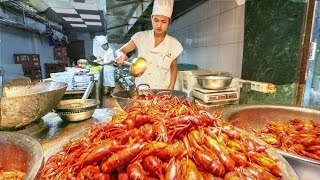 This is where the best food scene is in China. 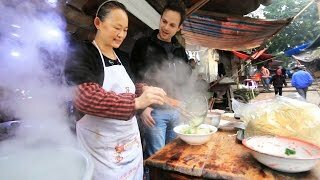 The best street food scene in China. 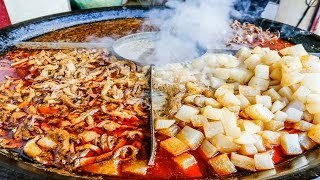 I love street food around the world, but here in Sichuan is hard to beat for now! I’m currently studying at the Sichuan higher institute of cuisine to be a Sichuan chef. In 2 or 3 years I will move to another place in Asia most likely, which I haven’t decided on yet. 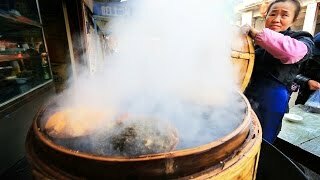 5) Tianshuimian "Sweet Water Noodles"
These are directly opposite the Wenshu monastery in downtown Chengdu, China. 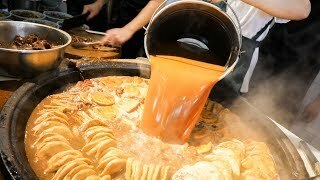 Best Tianshuimian sweet water noodles in Chengdu, you must try them! Come to Yantaipo guokui and you won’t regret. 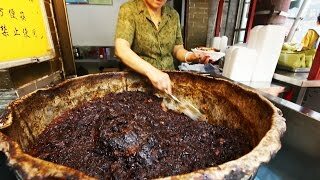 Order up the liangfen version, the jelly noodle sandwich version and be amazed at this amazing flavor! This is at the most famous “fly restaurant in Chengdu. Ming ting fandian AKA mingting restaurant! This morning breakfast in leshan is a must. 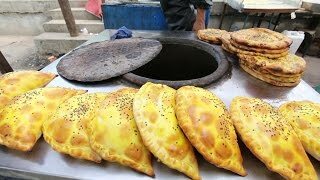 The beef is so tender and spicy and packed in a nice and soft pita. It’s right near the Leshan youth hostel.! 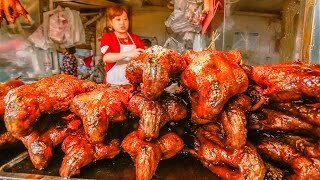 Unbelievable Chinese street food snack in Leshan, order this one up! 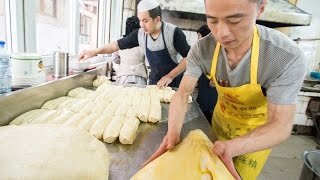 I’m currently studying to be a Sichuan chef at the Sichuan Higher Institute of Cuisine, it’s a lot of fun, and will be posting videos from there as well as food and travel videos whenever I get the chance!